Good News! The Camping Mats are back. Believe me, since we hit the road some time ago now, we have had our fair share of wet weather and it is inevitable that when out camping or caravanning there will be times where your site will become water logged. And if not water logged, sand, gravel and dirt always seems to find its way into the tent, caravan or motorhome. But, there is a solution! Last year we were told about a great product to solve the problem. Camping Mats. 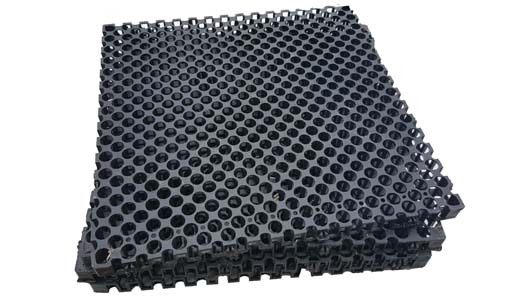 It turns out, these drainage cells originally designed for landscaping make ideal camping mats. You can use them individually, or clip them together to cover your entire area. They raise things up just high enough to allow water to flow through and leave you with a firm dry surface. 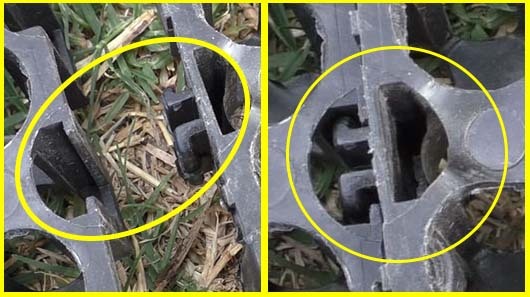 When we originally got them, we used them alongside our old rubber mat for a few weeks to compare the difference. The old mat was OK, but unfortunately it didn’t stop us getting our feet wet and stepping in puddles when it rained. The Camping Mat beside our old rubber mat. 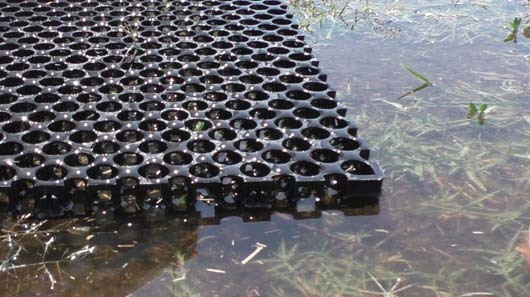 The real advantage of the mats is that they are 3cm or 30mm thick, which is enough to raise you out of most water logged situations. To see the mats being used check out the video below. 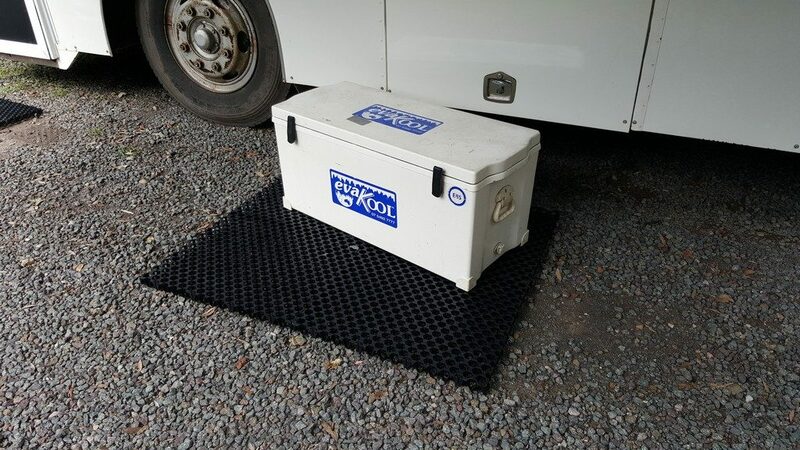 The mats can be used in many places around campsites. 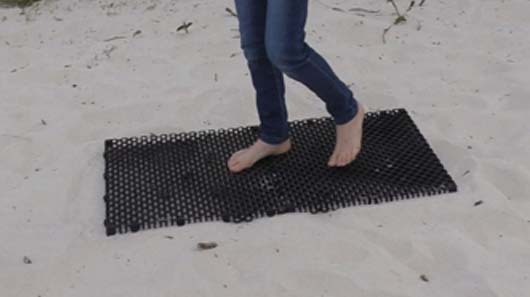 Individually they make for great door mats or shower pads, and they are brilliant for sites with lots of sand. They can be clipped together to make a solid platform, that would work well under awnings to keep belongings such as Eskys, chairs or belongings raised off the ground. 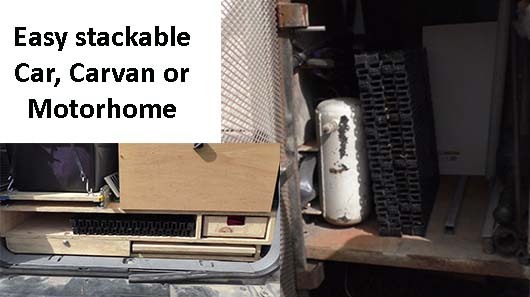 You can also clip them together length ways and use as pathways to prevent traipsing mud and dirt all over the van or camp site. 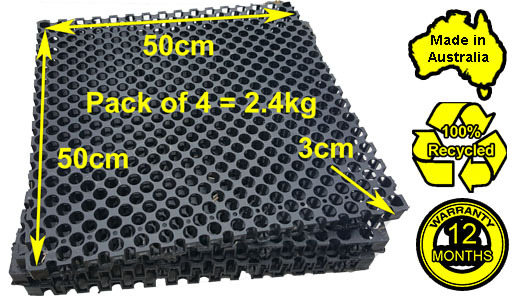 The Mats are made in Australia from 100% Recycled, high strength polypropylene. Each panel is 50cm x 50cm x 3cm and weighs about 600 grams. They come in a pack of 4 (2.4 kg) and are easy to clip together and pull apart. They have a compressive strength of 100 t/m2, and are unaffected by mould, algae and resistant to oil and many other chemicals. There are four interlocking tabs on the side of each panel which allows them to clip together in a variety of formations. This means you can use them individually, or interlock them together on a flat plane or at right angles. 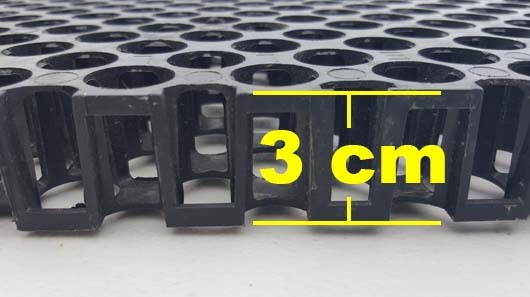 Although designed primarily for sub structure applications, and not intended for continual use in direct sunlight, the mats come with a 12 month warranty against faults, provided they are not directly driven on without first filling each cell with required substrates. 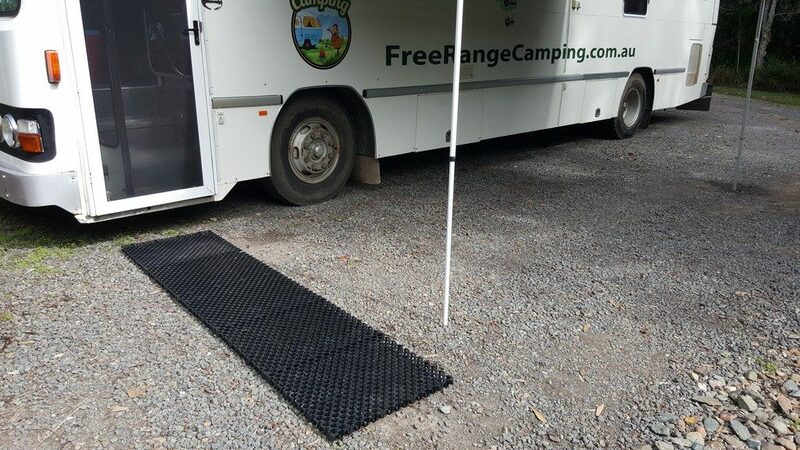 We have been using the mats for over a year now, and quite often in wet weather. At first they took a bit of getting used to as they were higher than our original mat. We found they were best suited to grassy areas, and whilst they still worked well on gravel, could be a little slippery depending on the situation. 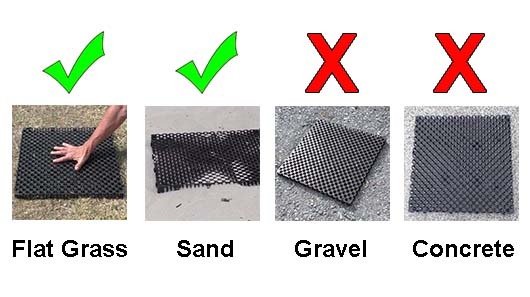 We would not recommend using them on concrete however as they were too slippery. 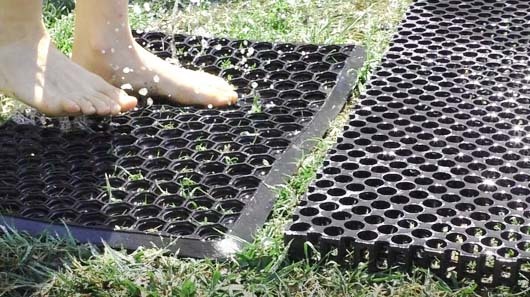 They were ideal for the outdoor shower, as the kids could stand on them and not get their feet all muddy, and it stopped a slush puddle from constant use. They were also great at the front door. They were also useful in the dry weather as being stiff you could wipe your feet on them and remove any dirt which would just fall through the holes. Admittedly they are bigger to store than our previous mat, and not being flexible meant we have to find a new place to store them. But, they can stand on end, be slid under seats, or placed in the car for easy access. 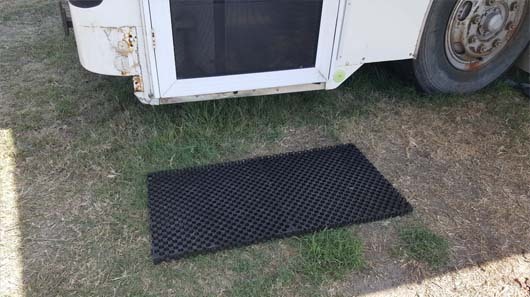 The mats are available in the FRC Online-Shop with special pricing available for FRC Premium Club Members. For more details or purchase your mats, click on the banner below.